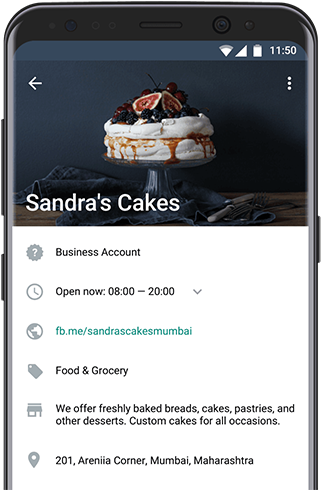 Engage with your customers using WhatsApp! • Compatible virtual phone number, required to create a WhatsApp Business account. • "Click To Chat" via WhatsApp button for your website. In recent years, live chat has become the preferred communication channel between consumers and businesses, rising well above traditional methods such as phone, e-mail or SMS. 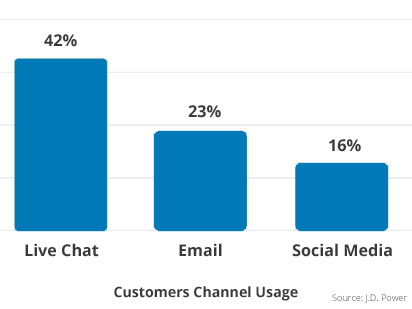 Leveraging live chat to build trust and personal connection with your customers has been proven to boost conversion rates by up to 45%! are more likely to shop with a business they can message directly. * According to "Facebook Messaging Survey" by Nielsen, March 2016, and "Facebook Data", April 2017. What is WhatsApp Business ? Business profile, including working hours and business location, for your customers to see. Auto-reply when off work hours. Automatic greeting of new customers. Labeling of customers (New Customer, Pending Payment, etc.). Forget about getting another SIM, landline, or any other hassle. 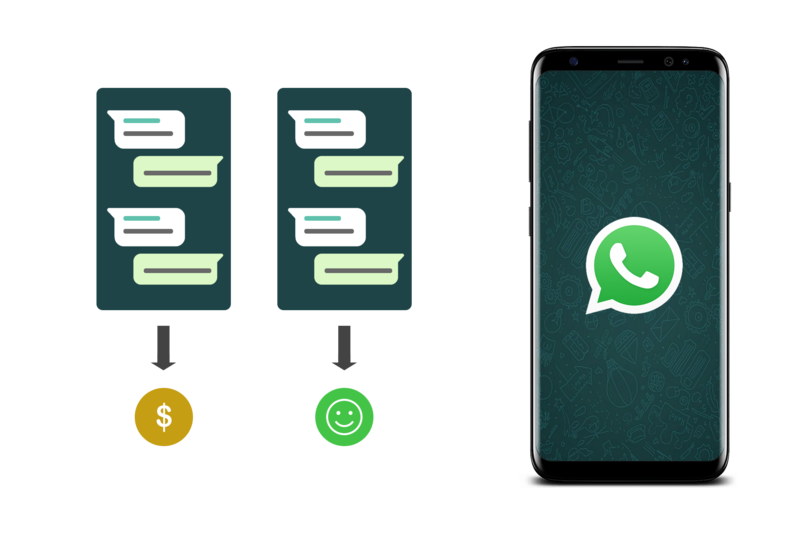 Wabi provides you with a virtual phone number, which you can use to create a Whatsapp Business account. All numbers are verified and guarnteed to work with Whatsapp Business. 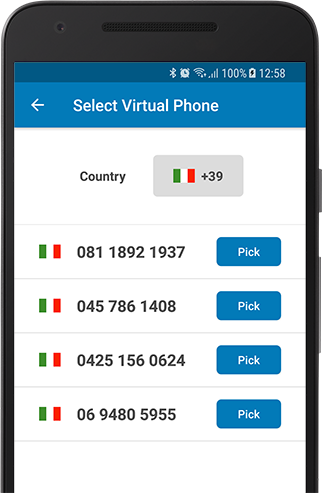 Local/mobile numbers available from 60+ countries. With Wabi’s "Click To Chat" button for your website, your customers will enjoy an accessible customer support in a click of a button. Chatting via WhatsApp, unlike other live chat solutions, allows your visitors to continue the conversation even after they leave your site, resulting in 0 leads drop. No Whatsapp Web? No Problem! Desktop users without WhatsApp Web can still contact you by leaving a message and their number and Wabi will show you their WhatsApp identity! Available as WordPress plugin, or by adding a single line of code to your site. * For countries: Austria, Belgium, Canada, Switzerland, Czech Republic, Germany, Denmark, Estonia, Finland, France, United Kingdom, Greece, Iceland, Italy, Lithuania, Latvia, Poland, Portugal, Sweden, Slovakia, United States. For any other country, please see pricing inside app. ** Only above countries are provided with free 24 days trial. Using Wabi app, select the country of which to get a local number from, and pick a number from the list. Once in WhatsApp Business, input the virtual number in the phone number verification screen. In the next screen, wait for the "Call me" option to become available, and click on it. Wait for the verification code to arrive, and use it to create the account. If you have a website, you may add "Click To Chat" button which will appear in the bottom right corner of your site. 2. Change above placeholder to the virtual phone number you got from Wabi. 3. (Optional) Set the language parameter, currently supported: English ("en"), German ("de"), Italian ("it"), Spanish ("es"), French ("fr"), Hebrew ("he"). 4. (Optional) Set the position parameter, "right" or "left". 1. Log in to your website’s WordPress Admin Dashboard. 2. Select Plugins > Add New. Search for Wabi and then click Install Now. 3. Click on Activate button. 4. Under Settings > Wabi Widget, click on Setup option, and input your virtual phone number in international format (e.g. +390821365633). Now the widget will appear in every page of your site! Now advertise your number so your customers may reach you via WhatsApp, and let the leads flow! Use the form below to contact us and ask anything! We’ll reply the moment we’re available! © 2018 Applaud Software, Inc.